Much of how people age depends on genetics, environmental factors, and lifestyle and nutritional choices, but did you know that much of the aging process can depend on gender as well? Across the world and across generations, it seems that women often outlive men. Doctors and scientists have attributed differences in life expectancy to a variety of factors. Women are less prone to heart-related diseases and smoking-related illnesses compared to men because these diseases and conditions occur later in life for many women. This can be attributed to a woman’s supply of estrogen, which helps make arteries strong and flexible. Women also tend to make healthier lifestyle choices and get screened and tested for health issues more frequently and far earlier in life. From more physically-demanding or more labor intensive career choices to high-adrenaline recreational decisions, men have been shown to make riskier decisions. According to the Centers for Disease Control and Prevention (CDC), unintentional injuries are the third leading cause of death in men, whereas it is sixth for women. This is in part due to the frontal lobe—a part of the brain that deals with responsibility and risk calculation—which develops more slowly in men. Some of the greatest differences between men and women occur at the hormonal level. This can be seen in the differences between menopause and andropause. For women, menopause occurs around the age of 50 and happens when a woman stops menstruating and stops producing estrogen. For men, hormonal differences occur less drastically and overtime. Testosterone levels decline slowly and, unlike menopause, men can still reproduce and create sperm well into their old age. Long-lasting and strong relationships have been shown to benefit the life expectancy and increase the quality of life in most adults. A 2010 study at Brigham Young University suggested that people with strong social connections have a 50% lower chance of dying than those with fewer social connections. A stronger social network or a strong bond with another person can promote better emotional health and a happier disposition. Friends often hold each other accountable for physical, mental, and emotional checkups. Gender is one of the biggest factors in terms of how men and women age. Between gender, genetics, environmental factors, nutrition, and lifestyle habits, it’s a fact of life that people age differently. Taking care of your eyes is always a priority, from preschool through retirement and beyond. May is healthy vision month, and we at Arise Cares would like to remind you to make eye health a priority for you or a loved one moving forward. 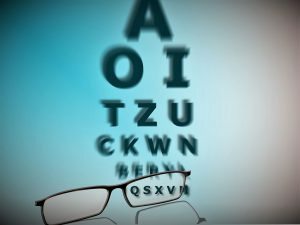 Many eye diseases don’t have symptoms, so without proper prevention and regular eye exams, it’s difficult to know if something is wrong. You may be busy and unable to provide the level of care you would like an elderly relative to have. Our home care aides can give personal care to your loved one, as well as assist them in maintaining their vision in various ways. Part of keeping vision healthy is consistently taking the medication prescribed by a doctor. Whether the medication is for cataracts, diabetes-related conditions, glaucoma, age-related macular degeneration or any other condition, our home care aides can keep medication schedules on track, ensuring the doctor’s orders are followed. Living a healthy lifestyle through a nutrient rich diet is important to the health of your vision. Everyone says carrots are good for your eyes, but eating a diet rich in fruits and vegetables, particularly dark leafy greens such as spinach, kale, or collard greens, is important for keeping your eyes healthy. Research has also shown there are eye health benefits from eating fish high in omega-3 fatty acids such as salmon, tuna, and halibut. A home care aide can assist in this by preparing consistent, healthy meals for you or your loved one, as often as they need it. Home care aides can be present from as few as one to as many as 24 hours per day to ensure eye health is maintained through proper nutrition. Another service home care aides offer is transportation to appointments, including eye appointments. It’s important to get a comprehensive, dilated eye exam to know if eyes are healthy and if you or your loved one are seeing well. A home care aide also is present with you or your loved one and can see if their condition is deteriorating, and an unscheduled eye exam is needed. Our home care aides are passionate about providing the highest quality service and have the kindness and training to do so. Contact Arise Cares today to find out how we can help you or your loved maintain their vision, longer.